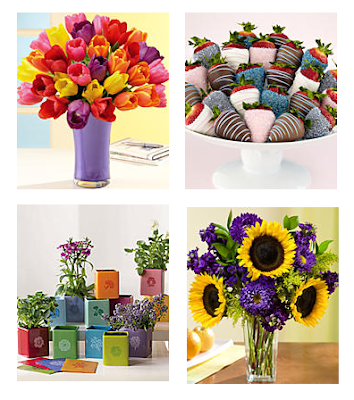 If you’re looking to buy the best flowers for Mother’s Day, consider ProFlowers as your Mother’s Day Florist;. This day we set aside for Moms is one of the most special days of the year; it’s dedicated to showing appreciation, gratitude, love and affection to the number one lady in everyone’s life – their Mom. With over 10 years of experience selling flowers online, ProFlowers understands just how meaningful this is. Spectacular Mother’s day flower bouquets are our specialty, get your order in early. Just select a vase, choose a card or maybe chocolates to go with, and you’re set. ProFlowers does the rest. With an extensive selection of plants, flowers, and gifts ProFlowers.com is a one-stop-shop for everyone on my gift list's. At times it can be difficult to find just the right item for everyone on my holiday & birthday lists, however, after my first experience with ProFlowers about a year ago...I now know just where to go when a special occasion arises! I adore plants (my kitchen is home to quite a few of my favorite flowering plants), and after browsing through the large selection of plants available on the ProFlowers site, I decided to go with the Potted Gardenia (pictured above) in the Victorian Tin (3 container options are available when ordering this plant). 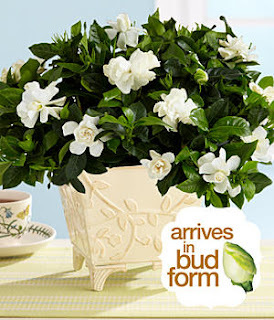 Within a day, the beautiful Gardenia arrived (in a perfectly packed box, the plant easily withstood shipping without issue) in absolutely perfect condition in bud form, ready to bloom. After just a few short days in the sunlight on my widow sill, the Gardenia now has several fragrant blooms that have flowered, and is simply gorgeous! ProFlowers offers impeccable quality, in both product & service, and has an incredible Mother's Day Selection! Make Mother's Day Unforgettable with ProFlowers! 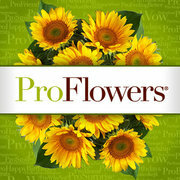 One Lucky Reader will receive a $50 Gift Code (sent instantly through email) to ProFlowers.com! Leave a comment~Visit http://www.proflowers.com/mothers-day-flowers-mdf and let me know which item you would love to gift or receive this Mother's Day! The comment is considered your entry. Entry to this giveaway ends at 12pm PST May 4 , 2011. Winner's are chosen randomly through random.org.The winner will be announced in a post within 7 days of the giveaway ending, and contacted through email. The winner will have 48 hrs. to respond or another winner will be chosen. My favorites are the Potted Pink Calla Lilies and the Azalea Bonsai. I would love to gift my Mom the Mother’s Day Orchid!